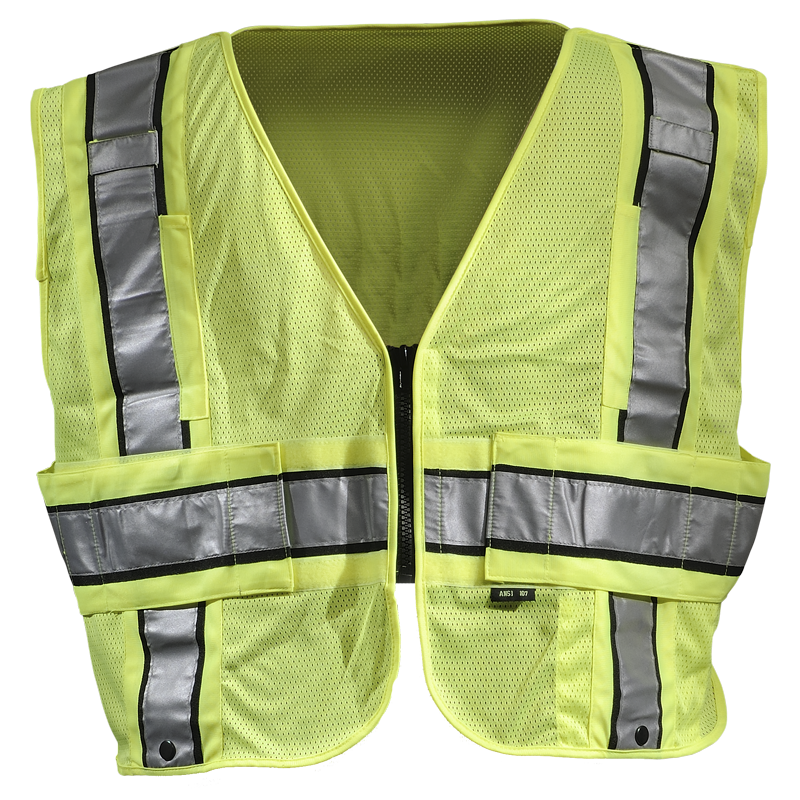 LIghtweight breathable safety vest with a Five Point Breakaway design. ANSI 107 Class 2 and ANSI 207 compliant. 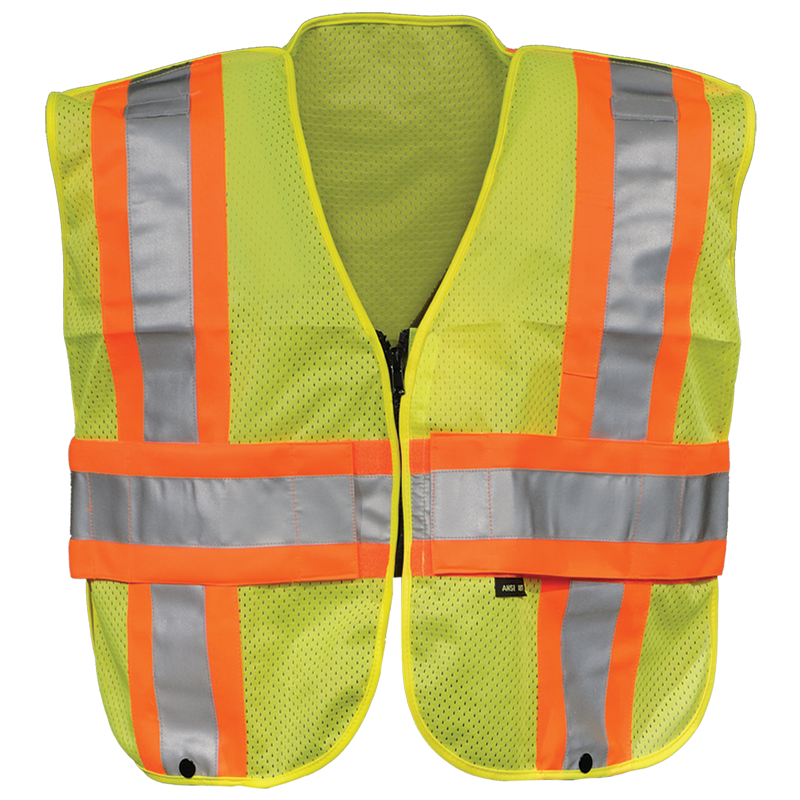 Lime Yellow mesh body with Orange / Silver 4 1/2" wide triple trim over both shoulders and around the waist. Velcro breakaway belt, shoulders, and front zipper closure. Mic Tabs on both shoulders.